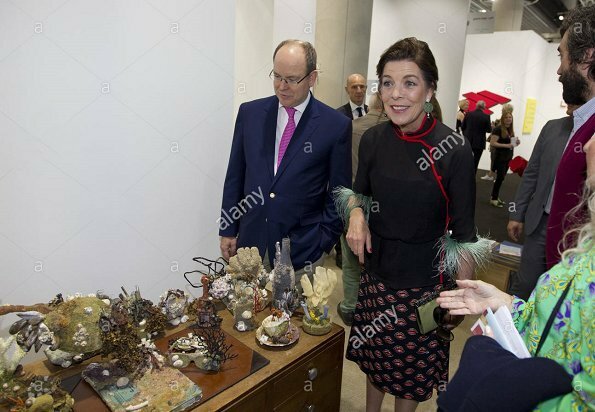 Prince Albert of Monaco and Princess Caroline of Hanover attended the opening of the Art Monte Carlo 2017 exhibition at the Grimaldi Forum in Monte-Carlo, Monaco. Art Monte-Carlo is a new art exhibition, which aims to establish an artistic platform on the French Riviera (Côte d’Azur). The younger daughter of the King and Queen of Spain, Infanta Sofía, today celebrates her 10th birthday. Infanta Sofía of Spain (Born 29 April 2007) is the second child of King Felipe and Queen Letizia. 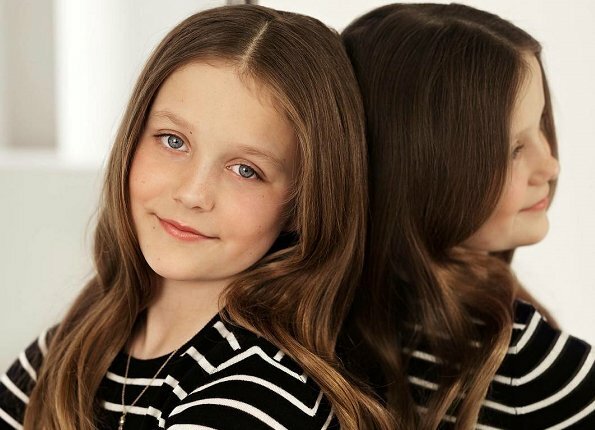 She has an older sister, Princess Leonor, whom she follows in the line of succession to the Spanish throne. 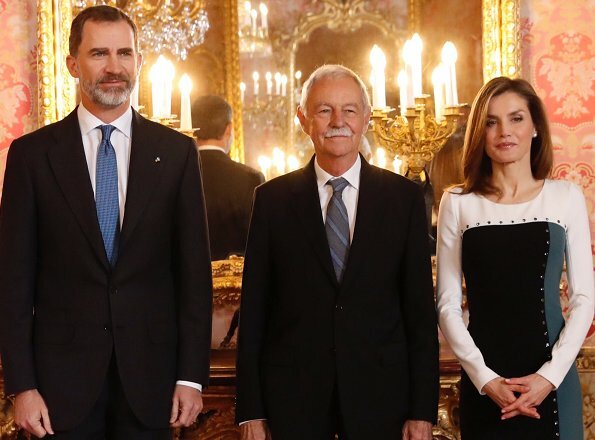 She is second in line to the Spanish throne. Happy 10th birthday Infanta Sofía. 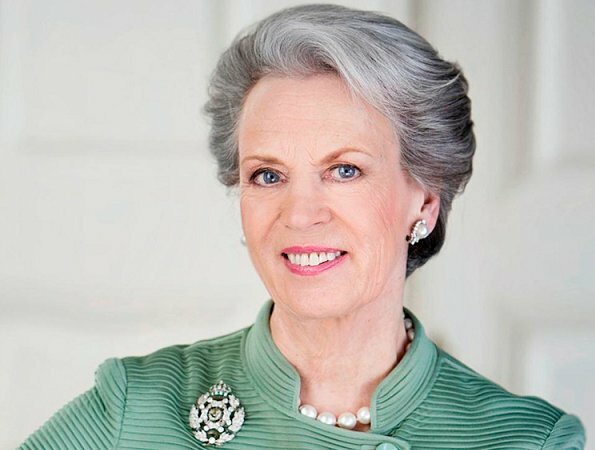 Today is April 29 and Princess Benedikte of Denmark celebrates her 73rd birthday! Princess Benedikte, Princess of Sayn-Wittgenstein-Berleburg (Born 29 April 1944) is the second daughter of King Frederick of Denmark and Ingrid of Sweden. 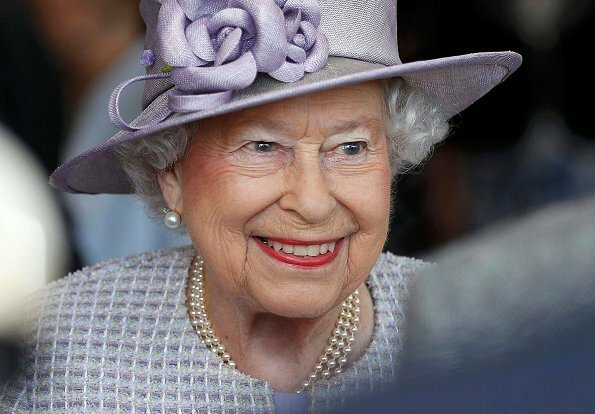 She is the younger sister of the reigning Queen of Denmark, Margrethe II, and the older sister of Queen Anne-Marie of Greece. Happy birthday to you, Princess Benedikte. 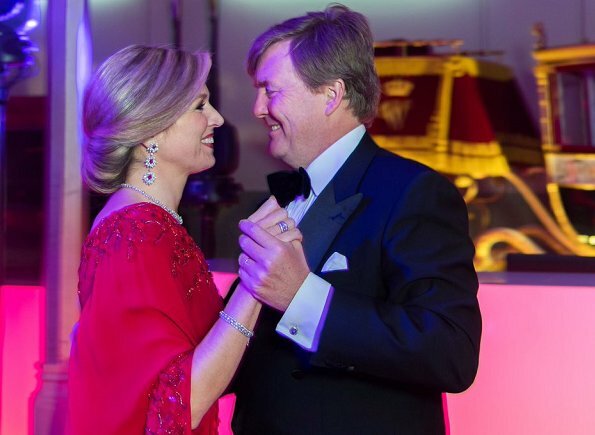 King Willem-Alexander and Queen Maxima of The Netherlands host a dinner for 150 Dutch people to celebrate his 50th birthday in the Royal Palace on April 28, 2017 in Amsterdam. After dinner, and following a festive ceremony in Dam Square, the palace doors will open to the general public from 22.00 on Friday evening to midnight on Sunday 30 April - a period of 50 hours. Queen Maxima wore JANTAMINIAU gown. 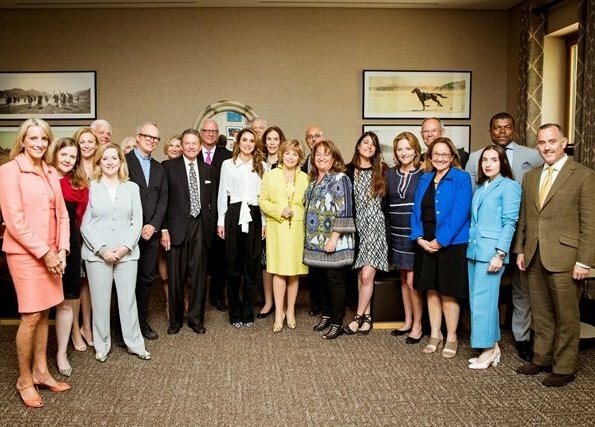 Queen Rania of Jordan met with supporters of the Jordan River Foundation (JRF) to relay Jordan’s economic and social pressures as a result of the Syrian refugee crisis. Prior to the meeting, the 24-member delegation toured Amman and visited the Queen Rania Family and Child Center. During the meeting, Queen Rania highlighted the challenges facing Jordan and thanked the group, which included leaders and experts from various sectors, for its fundraising activities. 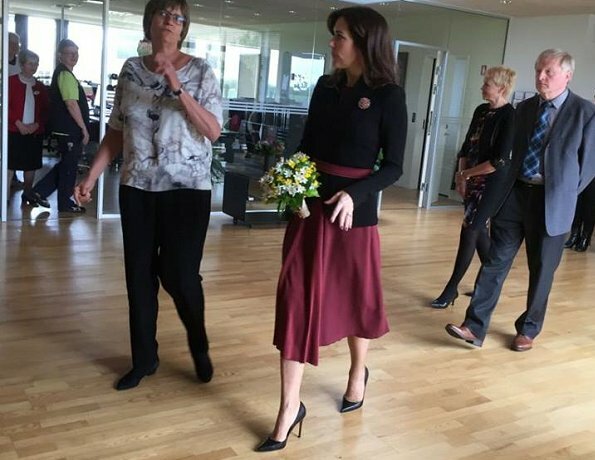 On April 27, 2016, Crown Princess Mary of Denmark visited the workshop, "The Red Cross of the Capital", with the Mary Foundation in Copenhagen. The project is Værket, a joint project of the Mary Foundation and the Danish Red Cross. The overall aim of the project is to bring lonely people together. 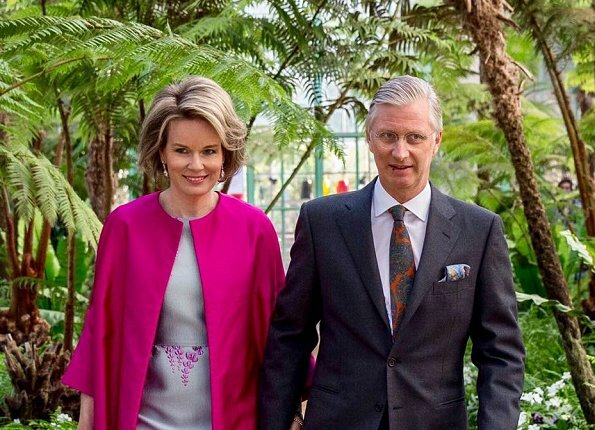 Queen Mathilde and King Philippe of Belgium visited Belgian painter Rik Wouters (1882-1916) Exhibition at the Royal Museum of fine arts in Brussels, Thursday 27 April 2017. Hendrik Emil (Rik) Wouters (1882-1916) was a Belgian fauvist painter. 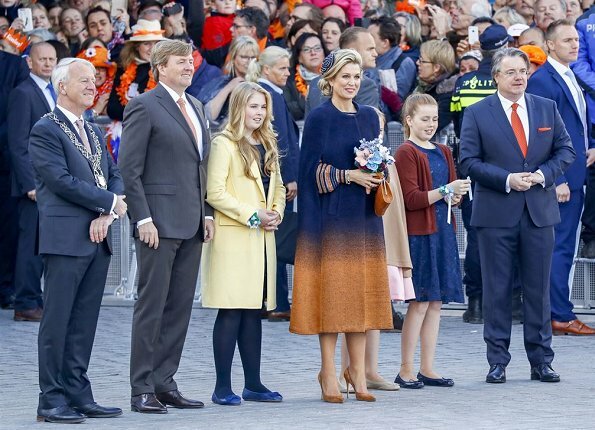 King Willem-Alexander, his wife Queen Maxima and their daughters Crown Princess Catharina-Amalia, Princess Alexia and Princess Ariane, Prince Constantijn and Princess Laurentien attend the Kings Day 2017 celebration in Tilburg, The Netherlands, 27 April 2017. 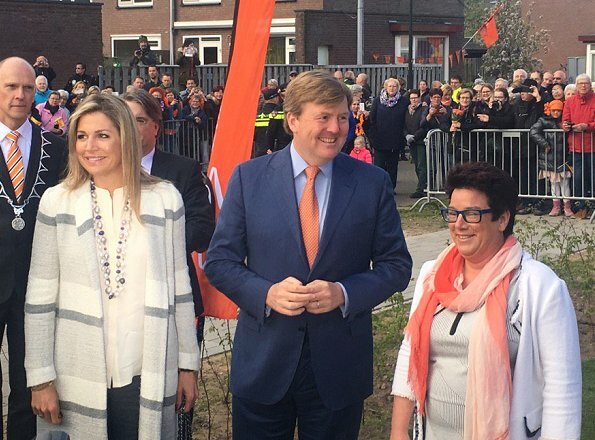 King's Day or Koningsdag is a national holiday in the Kingdom of the Netherlands. Celebrated on 27 April, the date marks the birth of King Willem. 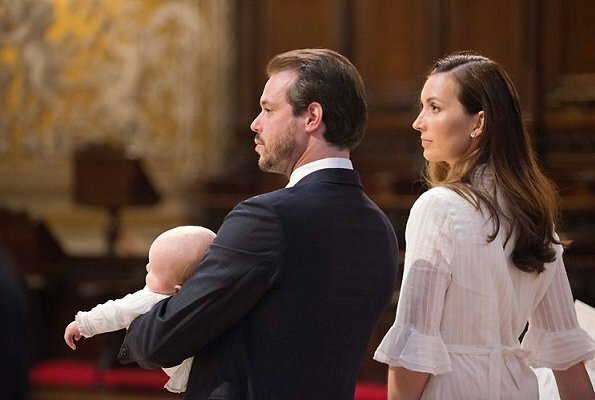 Prince Liam of Nassau, four and a half months old son of Prince Felix and Princess Claire was baptised at St Peter Basilica Chapel in Vatican on April 22, Saturday. His godparents are Prince Sebastien and Anna Maria Pamin. Prince Liam was baptised by Priest Dr. George Woodall in accordance with Rome Catholic belief. 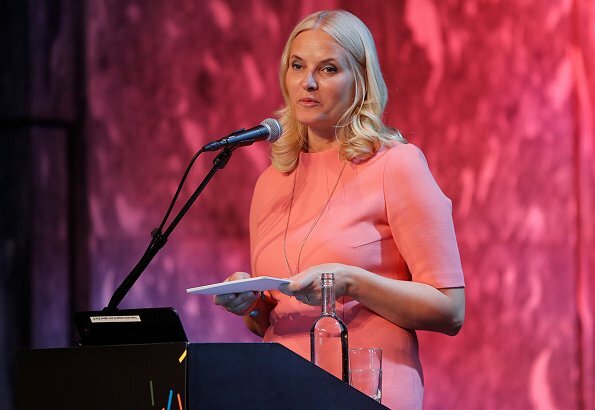 Today, the Crown Princess Mette Marit attended NORLA (Norwegian Literature Abroad) conference at Sentralen culture center. 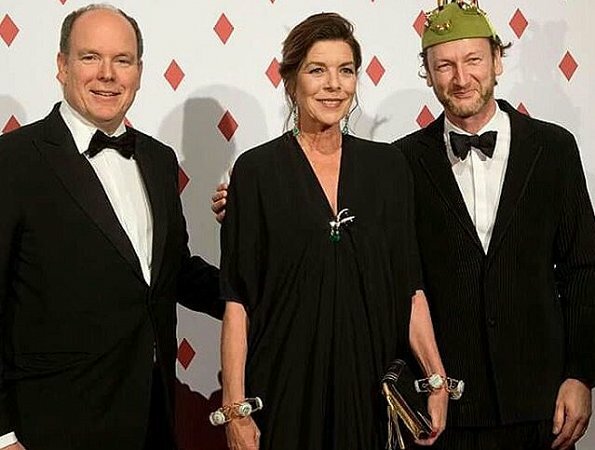 The Crown Princess was elected as Norway's literature representative for Frankfurt Book Fair (FBF) which is the world's biggest and most important book fair. Norway will take part in Frankfurt Book Fair as a "guest country". As Norway's literature representative, the Crown Princess will attend several events at Frankfurt Book Fair. 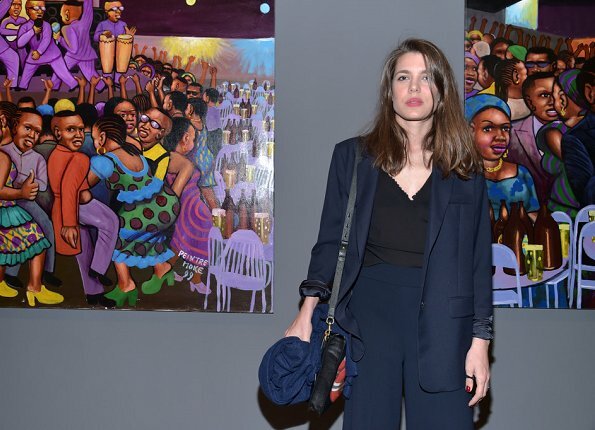 Charlotte Casiraghi attends opening of exhibition "Art Afrique, Le Nouvel Atelier" at the Louis Vuitton Foundation on April 25, 2017 in Paris, France. On April 25, 2017, Crown Princess Victoria attended the Royal Patriotic Society's annual event at House of Nobility in Stockholm. Crown Princess Victoria presented the Royal Patriotic Society's Trade and Industry Medals (Näringslivsmedaljen 2017). The medal recipients were Sebastian Siemiatkowski, Erik Sellberg, Tobias Lindfors, Gunvor Munck, Ann-Marie Skarp, Krister Olsson and Anders Johansson. 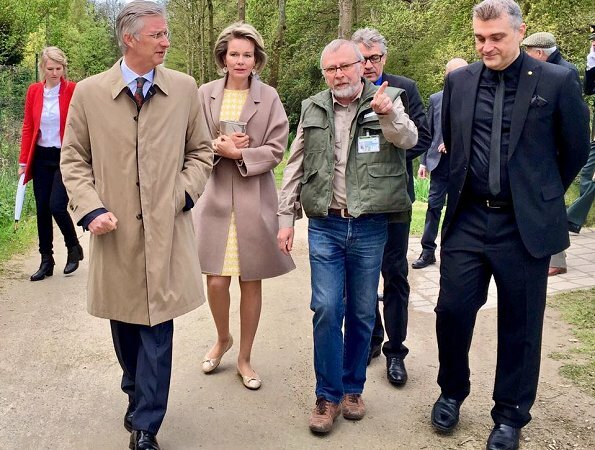 Queen Mathilde and King Philippe of Belgium visited the Wissekerke Castle, situated in the village of Bazel, within the Kruibeke municipality in East-Flanders province (Oost Vlaanderen) of Belgium on April 25, 2017. On April 25, 2017, Crown Princess Mette-Marit of Norway attended the opening of the 20th KICFF - Kristiansand International Children's Film Festival (Barnefilmfestivalen) at Kristiansand Kino Cinema in Oslo. Kristiansand International Children’s Film Festival (KICFF) is an annual event. 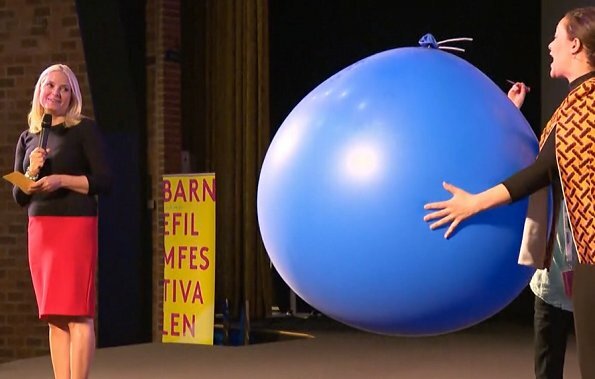 The festival is Norway’s largest film festival aimed at children and youth. 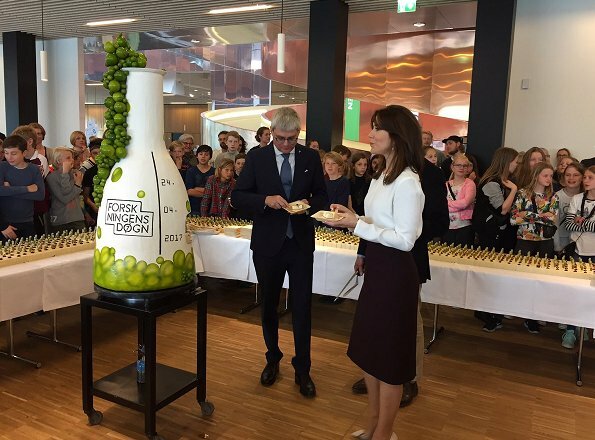 On April 24, 2017, Crown Princess Mary of Denmark attend the official opening of "Danish Science Day 2017" held at the Experimentarium Science Center in Hellerup, and presented the Research Communication Prize 2017. Danish Science Award are held every year in April and the awards are presents to the research team which makes a special effort in the communication field. The Crown Princess is the supporter and patron of Danish Research Festival. 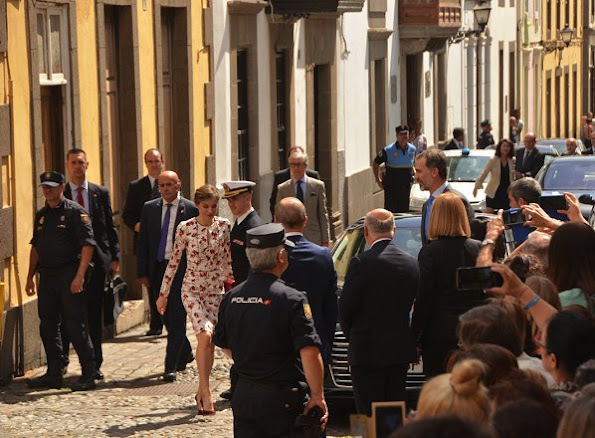 King Felipe VI of Spain and Queen Letizia arrived in Las Palmas on the Gran Canaria on April, 24 2017, during the first visit of the Royal couple together to the Canary Islands. King Felipe and Queen Letizia started a two-day visit on the Canary Islands. Prince William, Duke of Cambridge, Catherine, Duchess of Cambridge and Prince Harry started the 37th Virgin Money London Marathon in Blackheath, London. The royals watched the 26.2-mile long run to support to the nearly 40,000 competitors taking part in the marathon. 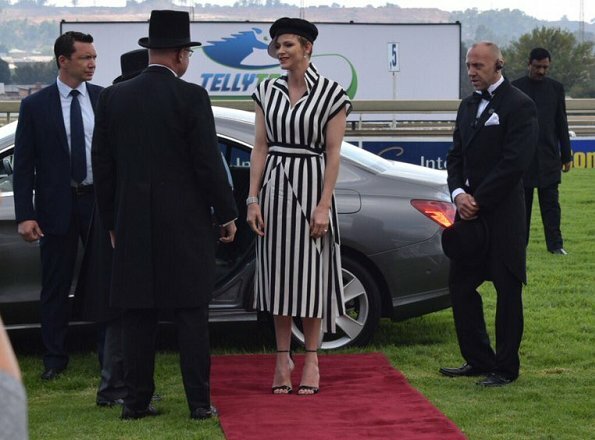 On April 22, Princess Charlene of Monaco arrived at the Turrfontein as guest of honour at the Ladies Race Day. Princess Charlene Ladies Race Day that held at the Turffontein Racecourse in Johannesburg. The event started at 11am and run until 7pm. Lunch time yesterday for Princess Sofia and her friends. 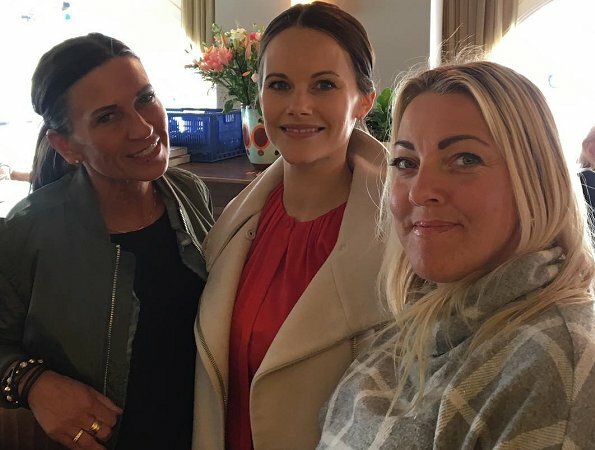 Princess Sofia of Sweden and her friends got together for a lunch at Strandvagen 1 Restaurant in Östermalm. 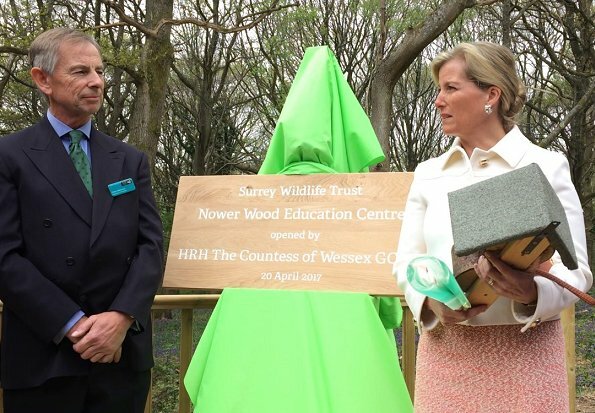 On April 20, 2017, Sophie Countess of Wessex attend the opening of Surrey Wildlife Trust’s brand new education centre at Nower Wood in Leatherhead. Surrey Wildlife Trust is a local charity concerned solely with the conservation of all forms of wildlife in Surrey. Then, The Countess visited Ridgeway Community School in Farnham, Surrey. The Ridgeway is a school for children the with severe learning difficulties and an additional diagnosis for Autism. 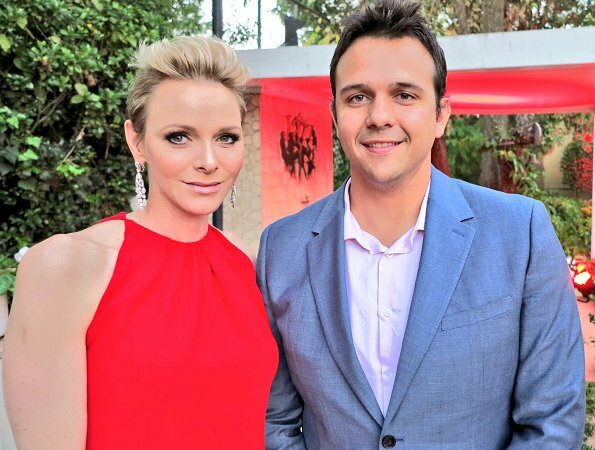 Princess Charlene of Monaco is currently in South Africa for a 5th day visit in connection with the South African Red Cross Society. Princess Charlene visited the Gugulesizwe Primary School on Friday, April 21 in Daveyton. The Gugulesizwe Primary school is situated about 20km outside of Benoni. On the fourth day of Crown Princess Victoria's visit to Japan, the Crown Princess visited Shiogama Shinto Shrine in Shiogama. Then, the Crown Princess visited Shiogama port and the Japan's Meiho Tuna Fishery packing plant in Shiogama on April 21, 2017. 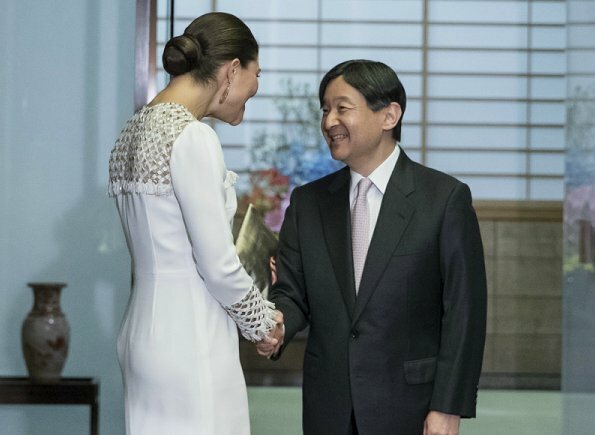 Crown Princess Victoria is visiting Japan from April 18 - 21 for issues regarding her role as an advocate for the UN's sustainable development goals. 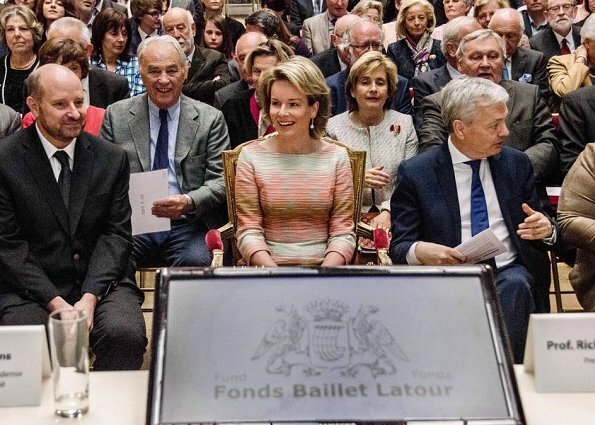 Queen Mathilde of Belgium attended the awards ceremony of Baillet Latour Health and Clinical Research at the Academy Palace on April, 20 2017 in Brussels. Since 2015 the "Baillet Latour Fund" has been awarding grants to young independent investigators to conduct medical research in Belgium. This initiative has replaced the former InBev–Baillet Latour Prize for Clinical research. 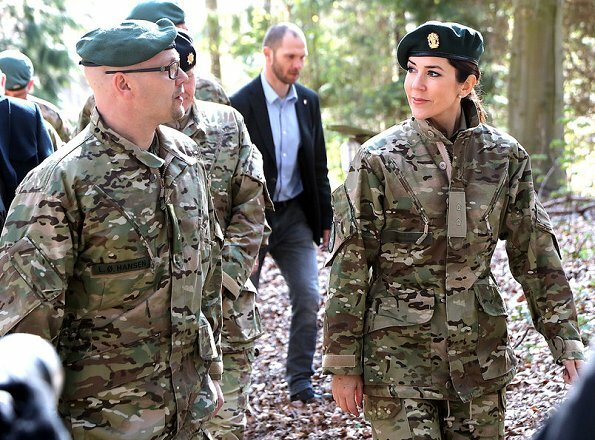 Crown Princess Mary of Denmark visited the Danish Home Guard (HJV) Control Center in near Vordingborg on April 20, 2017. The center is a radar surveillance center from the cold war, monitoring traffic in the Baltic Sea and air space. 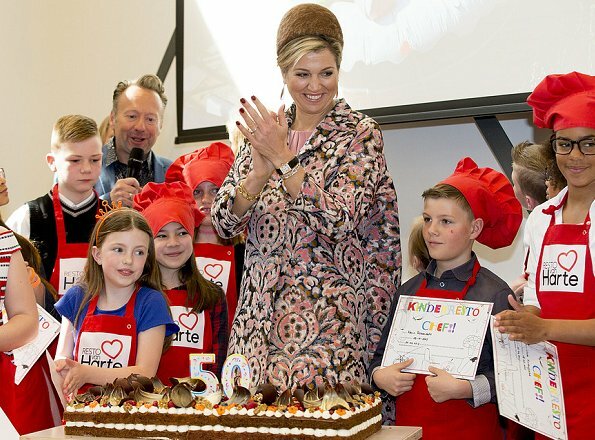 Queen Maxima of The Netherlands attend the opening of the 50th Resto VanHarte restaurant (KidsResto) in Lelystad, Netherlands. VanHarte is a restaurant where children between the ages of 8 till 13 can cook and learn about nutrition. 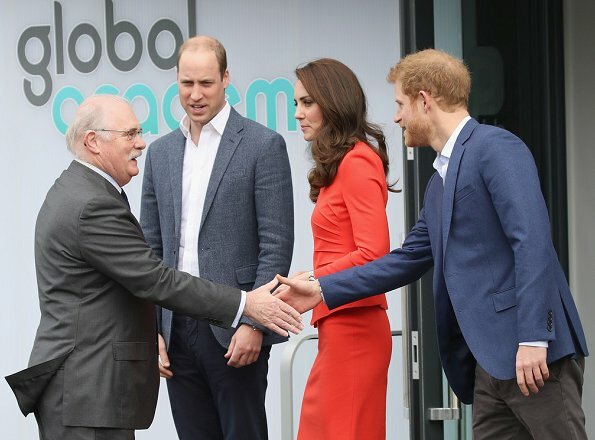 Prince William, Catherine, Duchess of Cambridge and Prince Harry attend the official opening of The Global Academy in support of Heads Together at the Global Academy on April 20, 2017 in Hayes, England. The Global Academy is a state school founded and operated by Global, The Media & Entertainment Group and will educate students for careers in broadcast and digital media. 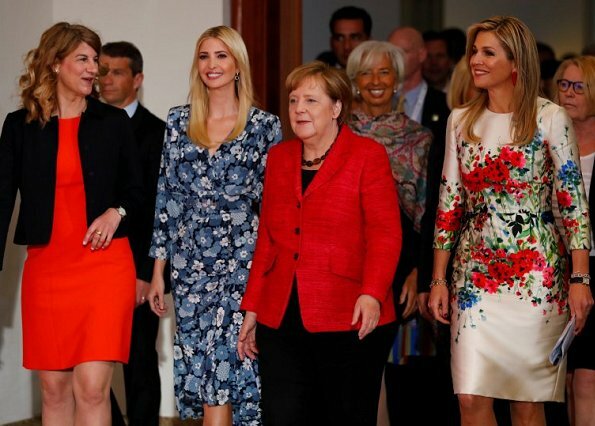 The Duchess wore Armani Collezioni﻿﻿ skirt suit. 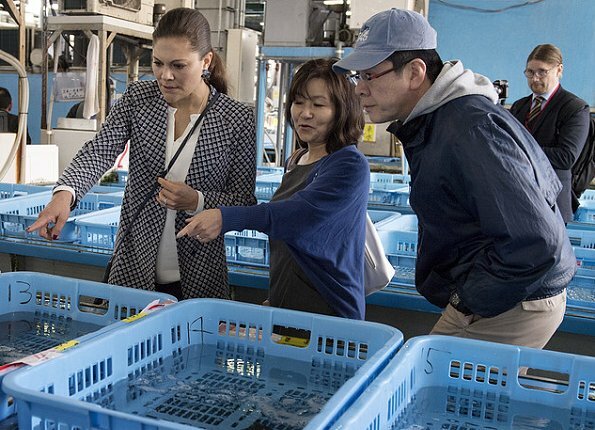 On the third day of Crown Princess Victoria's visit to Japan, the Crown Princess visited the Tsukiji fish market in Tokyo. Tsukiji Fish Market is a large wholesale market for fish, fruits and vegetables in central Tokyo. Afternoon, Crown Princess visited the Hamarikyu Gardens in Tokyo. Hamarikyu Gardens is a public park in Chūō. Also, the Crown Princess visits the Swedish embassy in Tokyo. 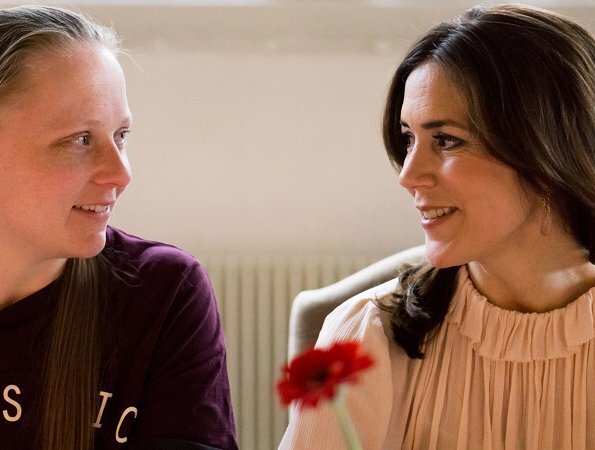 Catherine, Duchess of Cambridge hosts a reception for runners from Team Heads Together ahead of the 2017 Virgin Money London Marathon at Kensington Palace on April 19, 2017 in London. 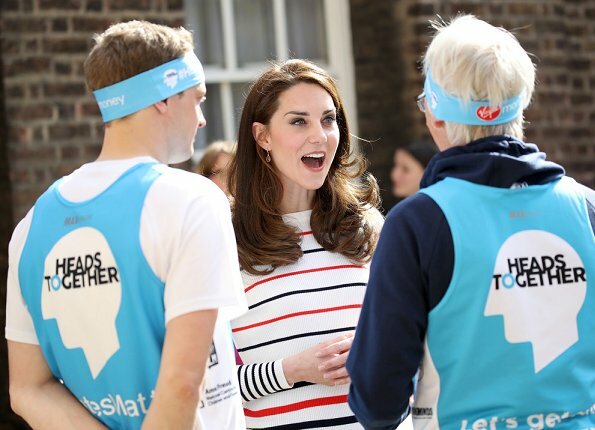 Mental health campaign, Heads Together is the Charity of the Year for the Virgin Money London Marathon which will be run on April 23, 2017. In the evening of April 19, Crown Princess Victoria of Sweden and Japan's Princess Hisako of Takamado attended a dinner at the Tofuya Ukai Restaurant in Tokyo. King Felipe and Queen Letizia of Spain attend an official lunch for 'Miguel de Cervantes 2016' Literature award at the Royal Palace on April 19, 2017 in Madrid. Spanish writer Eduardo Mendoza will receive the 2016 Miguel de Cervantes Award in a ceremony that will be held at the Alcala de Henares University's auditoriom on 20 April. Today is the first birthday of Prince Alexander of Sweden and on the occassion of that birthday, Swedish Royal Court published a new photos of Prince Alexander. 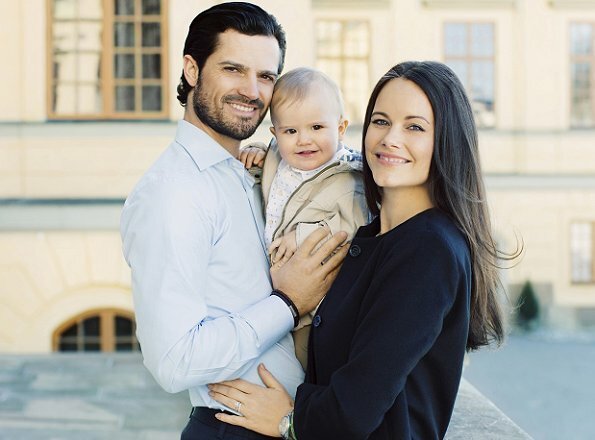 Prince Alexander is the first child of the Prince Carl Philip and Princess Sofia. He is the youngest member of the Swedish Royal Family and is fifth in the line of succession to the Swedish throne. Happy birthday to you, Prince Alexander. 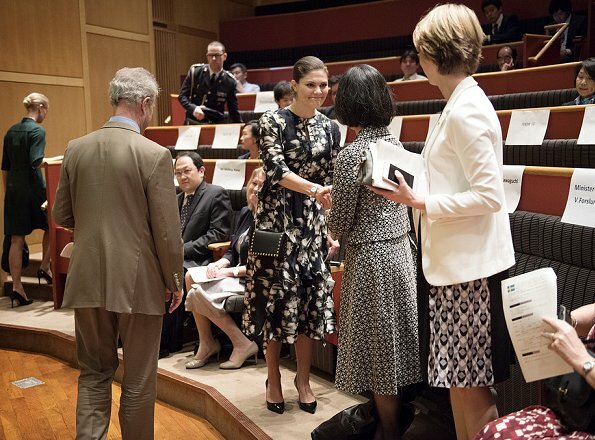 On the second day of Crown Princess Victoria's visit to Japan, the Crown Princess attended a seminar on the UN sustainable developent goals at the United Nations University (UNU) in Tokyo, Japan. 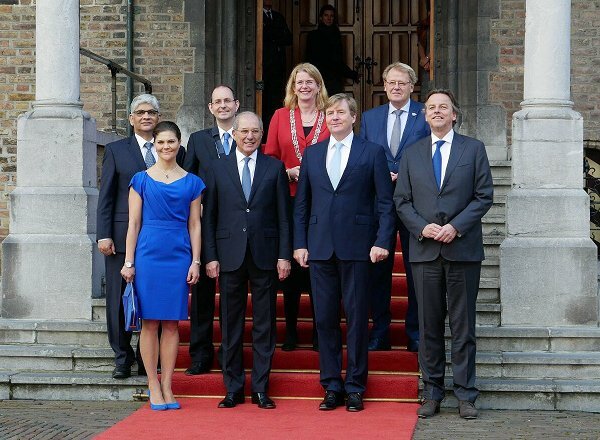 Crown Princess gave a speech at the international symposium. 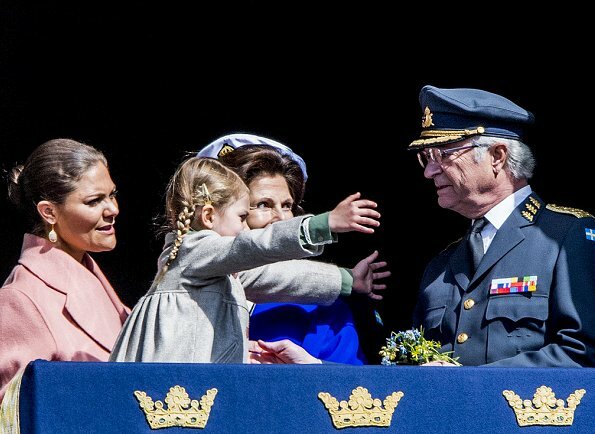 The dress worn by Crown Princess Victoria is an old dress of her mother Queen Silvia.